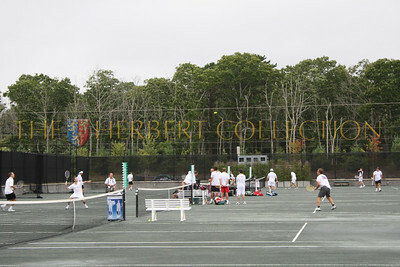 East Hampton, N.Y., August 22, 2010. Mike Milken founded The Prostate Cancer Foundation in 1993 after being diagnosed with the life threatening illness. The Foundation has helped build a global research enterprise of nearly $10 billion. Mike Milken has certainly made up for lost time by making the world a better place after the accusations against him so many years ago. He has saved a lot of lives, perhaps even the lives of those who incarcerated him. One cannot put a price on health. Personally, I have always been a fan of Milken's, having had the honor of knowing I.W. "Tubby" Burnham, Mike's old boss at Drexel Burnham Lambert many years ago. Tubby always spoke very highly of Mike, even after the fall of Drexel Burnham Lambert. I was hopeful that the 'true' story about what really happened would be told but my hopes faded when Tubby passed away on his yacht off the coast of Virginia at the age of 93. 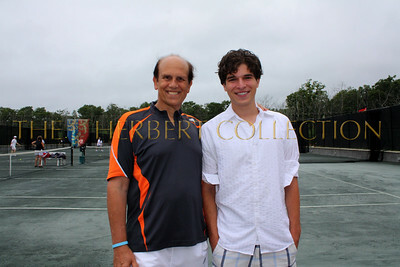 My son, Justin Pierce Galloway studied Mike Milken in his High School Investment Class and is a tennis player. He came along with me to today's exclusive event at The Ross School so we could support my friend, Bonnie Pfeifer-Evans, who lost her husband Charles Evans in 2007. 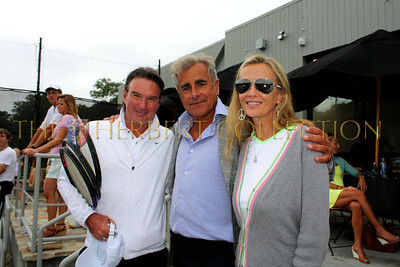 Bonnie is a tremendous supporter of Mike's PCF through The Charles Evan's Foundation. 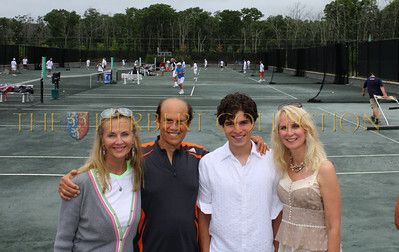 Charles, an avid tennis player was committed to helping others. This foundation is a wonderful way to honor his memory. Bonnie introduced Justin to Mike and they spoke for about 10 minutes. 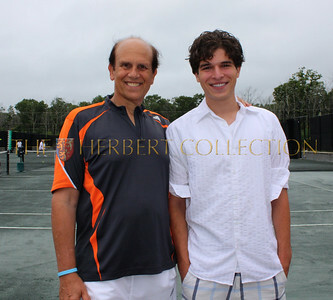 I realized more of Mike Milken's brilliance as I listened to him conversing with my son. Mike is an excellent listener and took in everything Justin, who wants to pursue a career in the financial industry, spoke with him about. This was a very special afternoon for Justin, who's father, Bruce Galloway, was Managing Director at Burnham and Company several years ago. It is a very small world indeed. 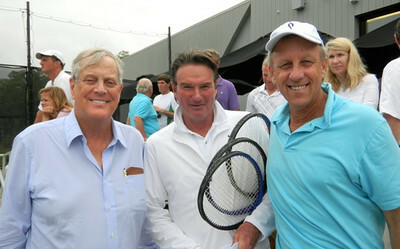 The PCF holds 4 tennis events annually, in Palm Beach, FL., Indian Wells, CA, Greenwich, CT., and East Hampton - collectively raising over $12.5 million. 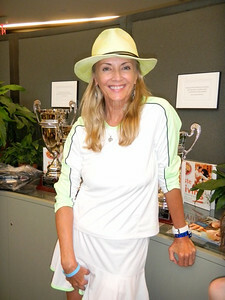 Pro's competing in this years event include: Jimmy Connors, The Jensen Brothers, Vince Spaeda, Justin Gimelstob (who injured his back and could not attend today's event), Jimmy Arias, Jared Palmer, Don Johnson, Johan Kreik and others. 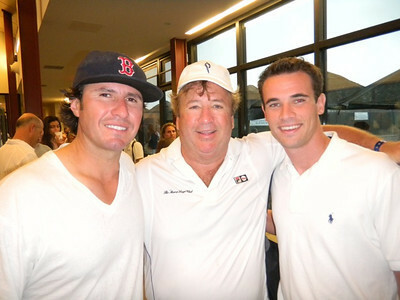 To learn more go to http://www.pcfproamtour.org. 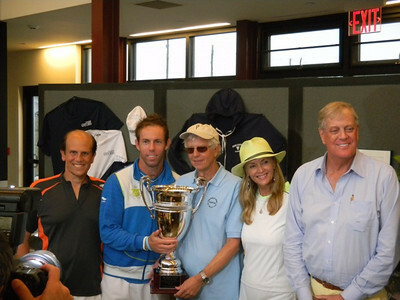 To learn more about Mike Milken's career and philanthropy go to http://www.milkeninstitute.org/. 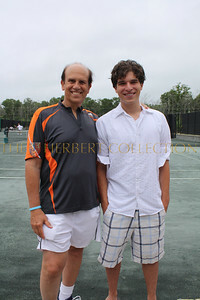 He is the Co-Founder of The Milken Family Foundation and Chairman of The Milken Institute. 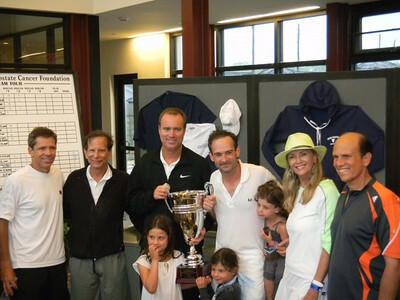 Milken has dedicated much of his life to philanthropy. Fortune Magazine's 2004 cover called him "The Man Who Changed Medicine". What would have happened to those stricken with prostate cancer if the 98 counts that Milken was indicted on would have stuck? We would not have had all of the wonderful medical advances that he has funded. Fortunately, for all of us, Mike was freed in less than two years enabling him to continue the pursuit of his altruistic passions.